O God, whose wisdom is far beyond our own, we turn to you because we cannot trust anything or anyone else. 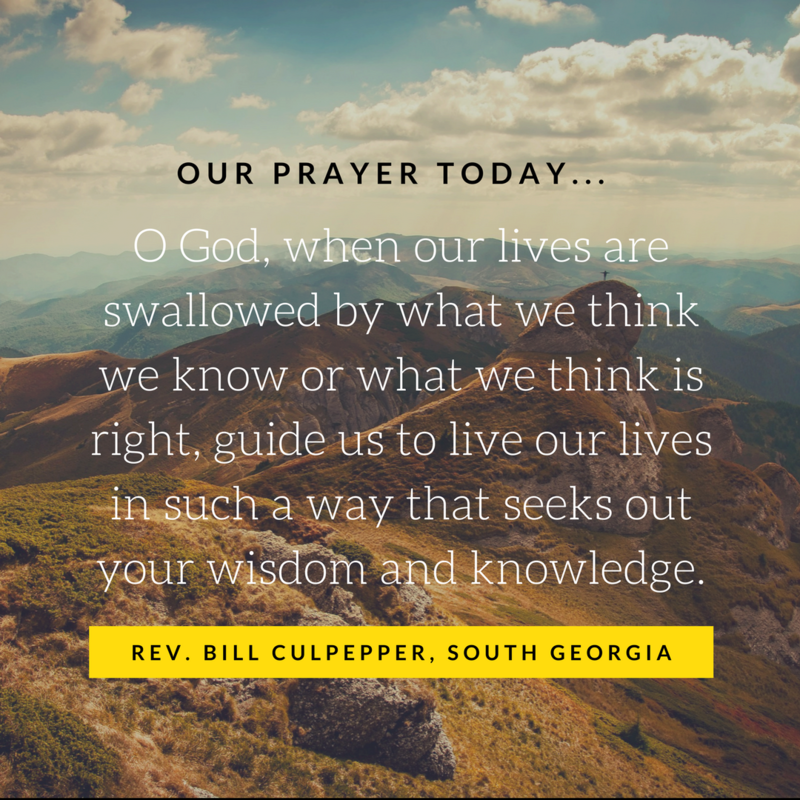 When our lives are swallowed by what we think we know or what we think is right, guide us to live our lives in such a way that seeks out your wisdom and knowledge. Break down our pride and our biases so that we can seek after your own heart rather than ours. Help our hearts beat for what makes your heart beat. God, we are so limited. Only you know what is right and true in the world. Reveal to us your wisdom. Let us seek to do what it is you would have us do. We pray for the Commission and their conversations - that they will be open to hearing you as they listen to each other. Direct them in such a way that please you do that you glory, favor, and love may wash over all the people in this world. Open their eyes, ears, and hearts to your treasures of wisdom and knowledge, and do the same for us as we prepare our hearts for the reception of your active Spirit. Amen.